Lily's Ink Pad: I'm back. Sorry to all my fans for the hiatus. I'm not sure exactly what happened. November started out a bit busy, then more stuff piled on, then more, and more like a snowball turning into an avalanche. The next thing I know it's November 27, twenty-four days after my last post! I am back, though, and will post like always on ODD days. Cuz, I'm odd. A little belated, but still cute. 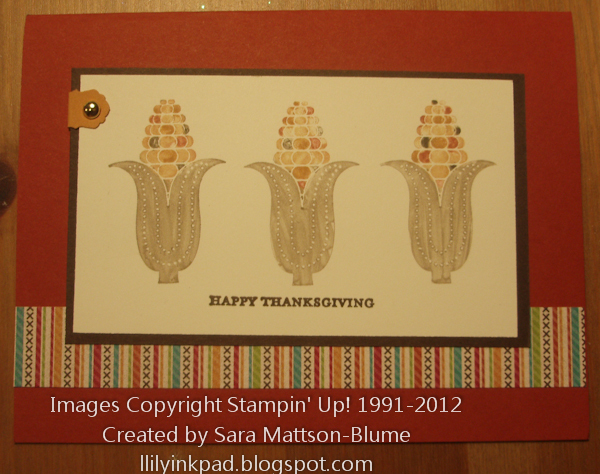 I went with a simple layout on this one as my stampers group makes 4 of each card--which means they needed to use markers to color 12 corn.We used Crumb Cake, Cajun Craze, More Mustard, So Saffron, and Early Espresso on the corn. Start with the lightest colors and color smaller parts in darker colors. 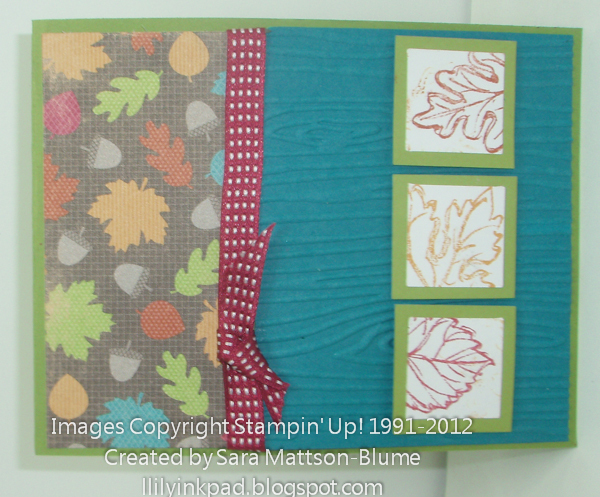 The rest was pretty easy- layer the layers, add the sentiment, and you're done with a cute, mailable card! 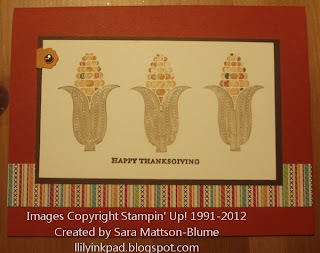 Love how you colored the corn! Missed you -- glad you are back! Get Those Winter Boots On!